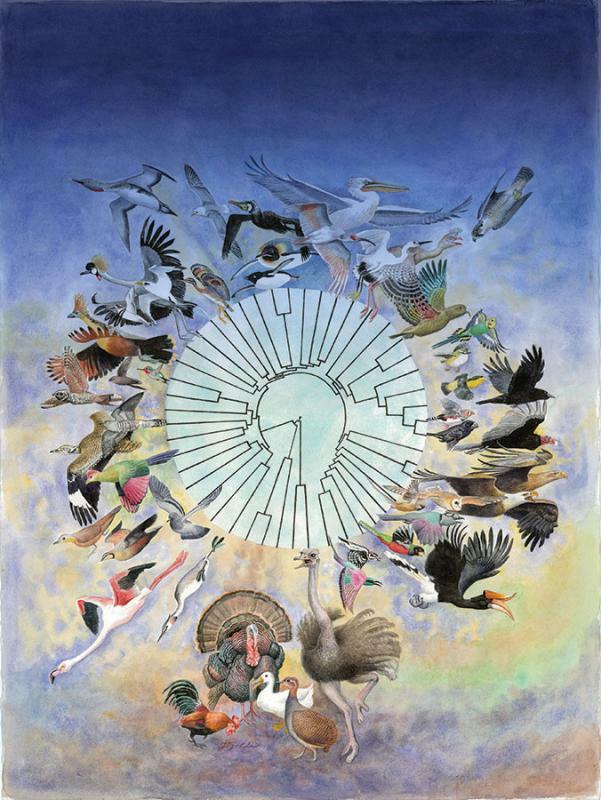 The evolutionary tree of modern birds estimated from genomic data. Art by Jon Fjeldså. Genome studies have revealed whether the extinction of dinosaurs coincided with the rapid diversification of birds.